Central Information Commissioner, Prof. M Sridhar Acharyulu, in the case of Subhash Chandra Agrawal v. PIO, Department of Sports, declared the BCCI to be a public authority and directed the Board to disclose information sought by the RTI applicant. “Whether Honourable Prime Minister/PMO is aware of dissatisfaction expressed by national hockey-players winning Asian Champions Trophy on just Rs 25000 award-money announced by Hockey lndia? Is Honourable Prime Minister/PMO aware that Indian cricketers winning World Cup Final were given Rs. 2-crore award money by Board for Control of Cricket in India (BCCI) after cricketers felt dissatisfied on earlier announcement of Rs. one crore, that too in addition to bumper-awards by state-governments and others? Complete and detailed information on action taken to remove such vast disparity in award-money for national players of cricket and others. Complete and detailed information on award-money paid to sports persons by Union government in last three years. List of sports bodies (with addresses and names of office-beaters) registered with Union government. Is it true that irregularities have been reported about some sports-bodices? If yes, steps taken to action taken on such irregularities reported against sports bodies, and also to check any such probable irregularities in future. The RTI application was made to the CPIO of PMO, who vide letter dated 5-10-2011, transferred to the Ministry of Youth Affairs and Sports. The CPIO contended that as per the government’s policy to declare every national sports federation as a public authority, BCCI too is a public authority. However, no response was given to the complainant’s query as to why BCCI, being a public Authority, isn’t disclosing information as per Section 4(1)(b) of the RTI Act. The complainant also sought to know why the BCCI was still using the logo from the British raj days instead of switching to a truly national symbol like the tricolor or the Ashoka Chakra. The Justice Mudgal Committee had, in 2014 while probing the IPL scam, had highlighted the need for a special legislation to make all malpractices in sports a criminal offence. The PMO asked the Youth and Sports Affairs Department to consider whether a standalone Act was needed or whether the IPC could be sufficient to deal with malpractices in sports. However, beyond this consultation with the Law Commission, no progress has been traced in the matter. The Minister of Youth and Sports Affairs, while answering an un-starred question, stated that in 2010, the Government had conferred the status of public authorities to all National Sports Federations receiving a grant of Rs. 10,00,000 and above. Further these Federations discharge state-like functions while performing tasks such as national team selections and regulating the sports in the country. The BCCI has been considered to be a National Sports Federation and represents the country in various international events. However, the BCCI does not directly receive any grants from the government, but does enjoy certain privileges like concessions in income tax and customs duty by the central government and allocation of lands to Cricket Associations by the State governments. BCCI received tax exemptions as a charitable institution till 30.06.2006. 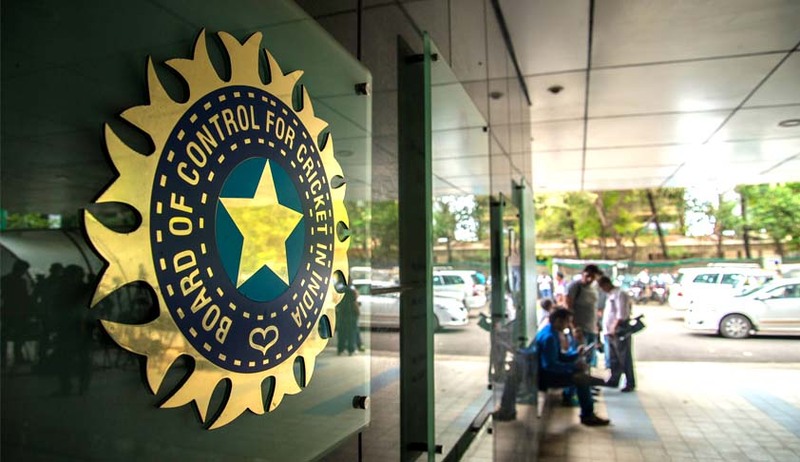 The Commission took into consideration the aforementioned contentions and noted that the government’s decision to categorically award the status of a public authority to BCCI is reflected in the thousands of crores of tax exemptions that the Board enjoyed and the representation of India in international events. This is a clear grant of monopoly to BCCI over the Cricket in India. The Commission further noted that since BCCI enjoys a monopoly over cricket, it is bound to disclose information to the citizens under the RTI Act. The Commission directed the PMO, Ministry of Law and the Ministry of Youth Affairs and Sports to explain their stand on the above questions, which are supposed to have been answered as part of their obligation under Section 4(1)(b) of RTI Act, more importantly it has to answer the Supreme Court, Lodha Committee and the appellant why RTI is not being implemented by BCCI, if it is recognized as National Sports Federation, within 30 days from the date of receipt of this order.